Murphy Desmond S.C. is pleased to announce that attorneys Maryam Ghayyad and Gini Hendrickson have been named shareholders with the firm, effective January 1, 2019. Ghayyad practices immigration law for individuals and families, as well as employment-based immigration. She also represents clients in divorce and family law matters. Maryam is fluent in Spanish and English. In 2018, she received an “Up and Coming Lawyer” award from the Wisconsin Law Journal. Hendrickson’s legal practice focuses on business law (from start-ups through succession planning), tax law for businesses and individuals, estate planning, and probate. Hendrickson chairs the firm’s Estate Planning and Probate practice group. She was named a “Fellow of the Wisconsin Law Foundation” in 2018. 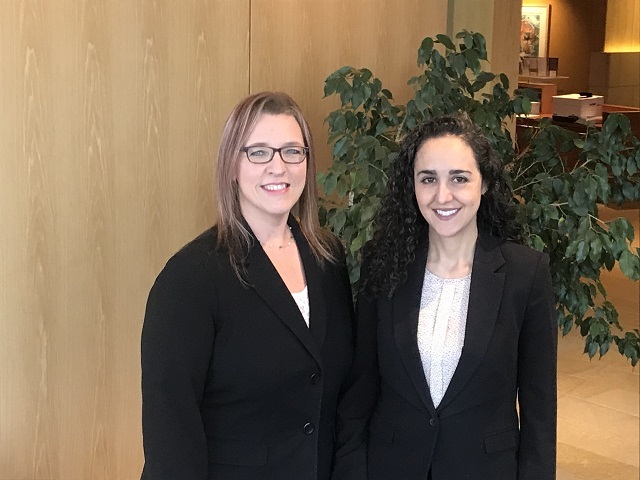 Attorneys Gini Hendrickson (left) and Maryam Ghayyad (right) became shareholders with Murphy Desmond on January 1, 2019.